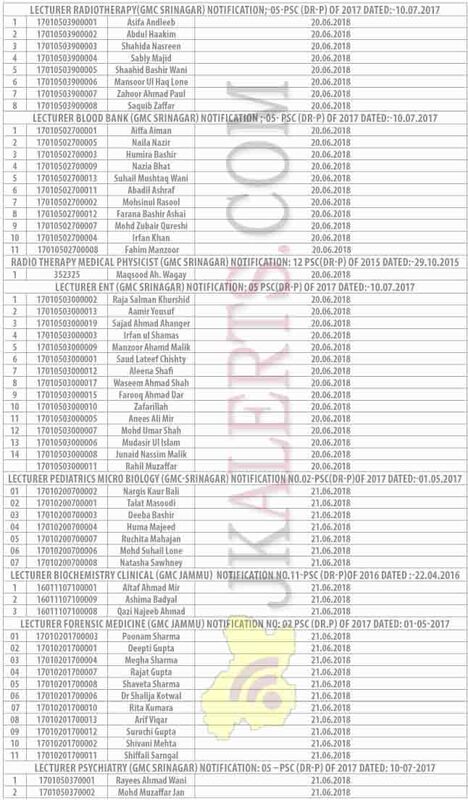 In partial modification to the interview notice dated 31.05.2018, it is hereby notified that the interviews of the candidates for the above disciplines in Health and Medical Education Department which were scheduled to be held on 18th and 19th of June 2018 shall now be held on 20th and 21st of June 2018 as per details given below. # Only eligible candidates possessing requisite qualification prescribed under rules shall be allowed to appear in the interview subject to the further condition that they are within the prescribed age limit on the cut-off date. # The candidates shall produce their original certificates/testimonials on the date of interview. Candidates, if any, having obtained court orders from the Hon’ble High Court in the above mentioned disciplines for appearing in the interview may also represent before the Commission along with certified copy of the court orders by or before 04-06-2018 for appearing in the interview at their own risk and responsibility.